RUBIRIZI – President Museveni has said the opposition is all about lies and not providing solutions to the problems currently faced by the country. Speaking at Ndyekye playgrounds in Rubirizi District, western Uganda, on Friday, the President said the ruling party agenda of development is what Ugandans should embrace and not opposition lies. “The NRM leadership is working for the development of every Ugandan and guiding you to focus on developmental issues unlike those (opposition) who confuses you, tells you lies and even support the wrong,” Mr Museveni said. ADF was crushed in Kasese and Rubirizi districts. 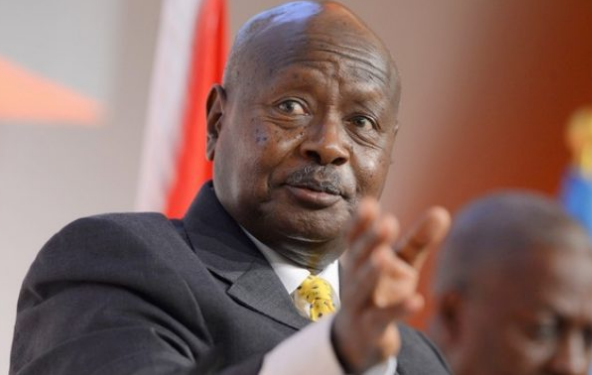 “Those involved in criminal acts in the city I will be seeing them from State House Entebbe because now the whole of Kampala is under surveillance cameras and in that, crime in the city will be easily defeated,’’ Mr. Museveni said. He visited farmers and community projects. President Museveni also pledged Shs 400 m towards the construction of Rubirizi district new administration block where he laid a foundation stone.